But perhaps that’s just it, I have nothing to write about. My baking has been taking a back seat to my relaxing. Usually I like to bake to relax, but lately, turning on the oven has just been out of the question. In any case, I come to you today with pictures from the weekend, an incredible discovery and a peculiar breakfast smoothie. None of this actually involves any baking, but sometimes you just have to go with the flow. Let’s start with my breakfast. I’ve been trying to eat really clean this week. I’ve been feeling very tired and lethargic for the past two weeks and I’m going to blame the obscene amount of coffee and chocolate that I consume. OH and peanut butter. I bought a normal size jar last Monday and, I kid you not, I am scraping the bottom just 7 days later. Confession: I eat it by the spoonful. It doesn’t help that I accidentally bought the light version. And while it isn’t nearly as creamy and delicious, I still crave it and have convinced myself that since it is light, I can eat twice as much. Ok, maybe not the best reasoning ever. It’s getting a bit out of hand to say the least. 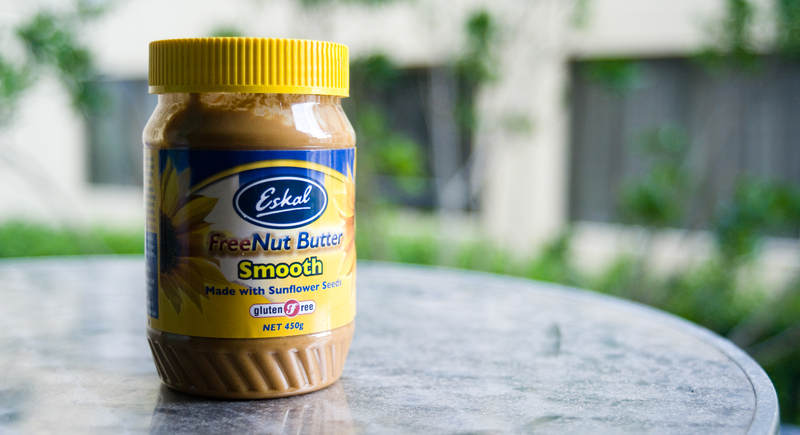 Lately, I have been eying this certain nut butter at the grocery store. It says Nut Free on it, so initially I was strolling past thinking it was some mock peanut butter that would taste like cardboard. Upon closer inspection I realized that it is actually sunflower-seed butter. Something I have been searching for for ages! Even though it is just a tad on the pricey side, it is still heaps cheaper than the almond butter that I cannot even stomach spending 9 dollars on, when I will for sure eat it in three sittings. Anyhoo, I thought it would be a smart buy as I may not crave it as much as I do peanut butter… and therefore I might eat less. Well… that theory went out the window the second I opened it. I’m so naive to think that I would be able to resist any butter made from nuts or seeds. I’m like a squirrel. Sometimes I hide the jar so my boyfriend won’t judge me based on my nut butter consumption. Do yourself a favour and go buy this. Or maybe do yourself a favour and don’t buy it? I dunno. Either way, sunflower-seeds are the new peanut. On to more foods! Breakfast foods! Cold Foods! Green foods! My next concoction is a green smoothie. Absolutely delicious and I swear if you drank it with your eyes closed, you would not detect any vegetable. You’re skeptical. 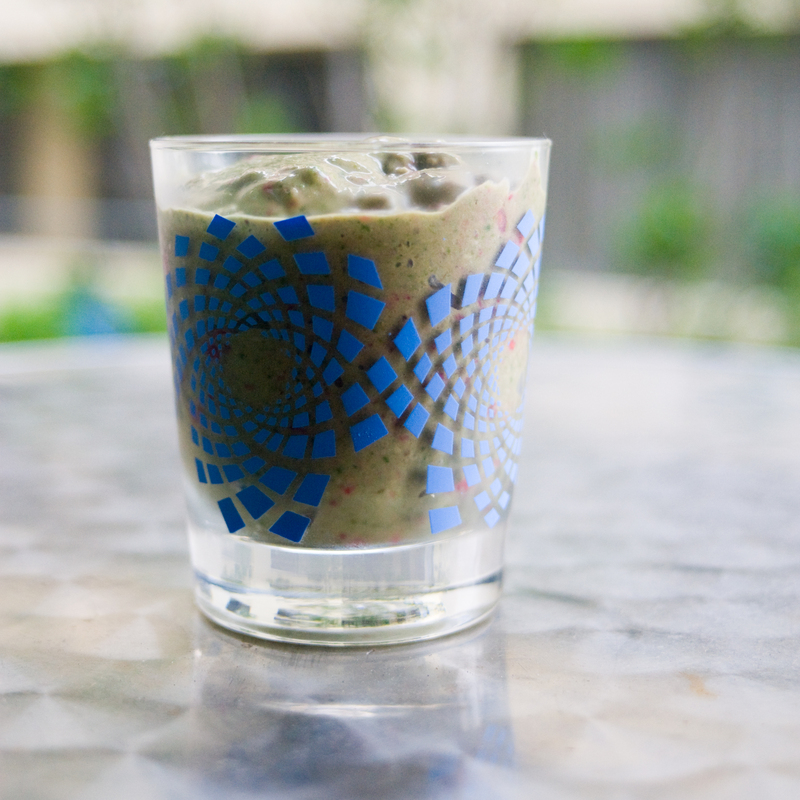 Most are, but this smoothie can be made 101 different ways and is insanely good for you. 1. put all ingredients together in a blender. Blend. I actually use a lot less liquid cause I like a really thick smoothie that I can eat with a spoon. But it’s totally up to you. 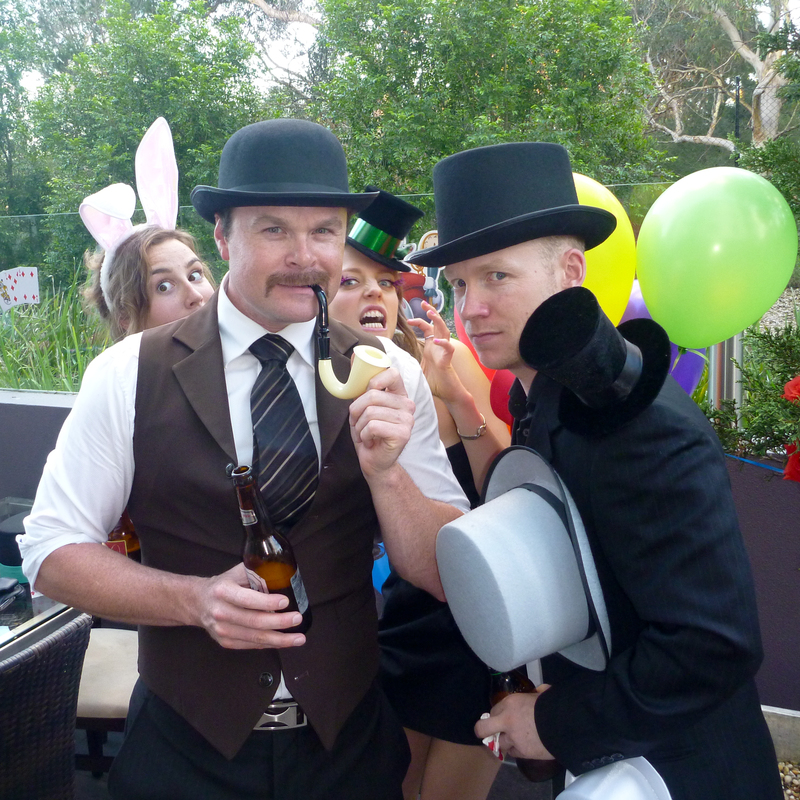 In other news, this past weekend was a good friend’s 30th birthday. 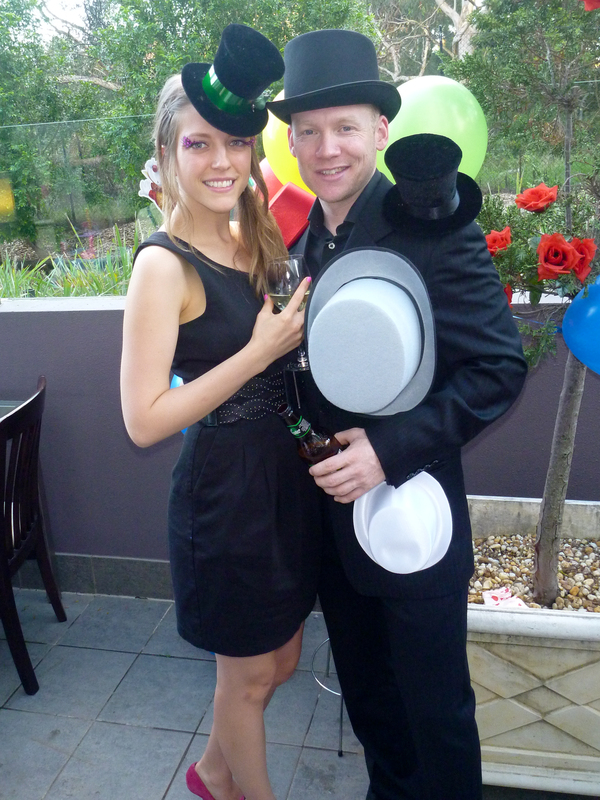 She threw the most colourful, most amazing Mad Hatter themed birthday party. We were all MAD! MAD I TELL YOU! Well that’s pretty much it for now, but I have more pictures and recipes, so I won’t be so long this time. I knew you would say that! I have one picture with the shoes, but my facial expression is super lame… haha so i opted for this one. much cuter. ps. I got those from the Salvation Army! SCORE!